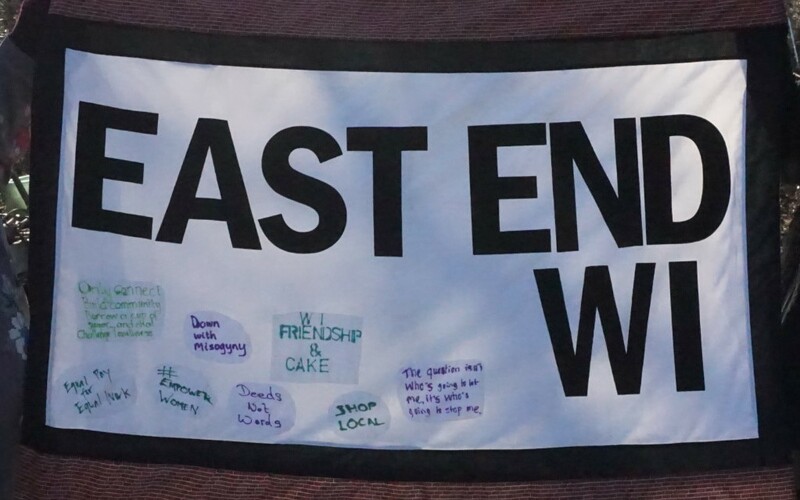 East End WI: All women welcome to EEWI's Christmas Market! Yes. It's nearly here. 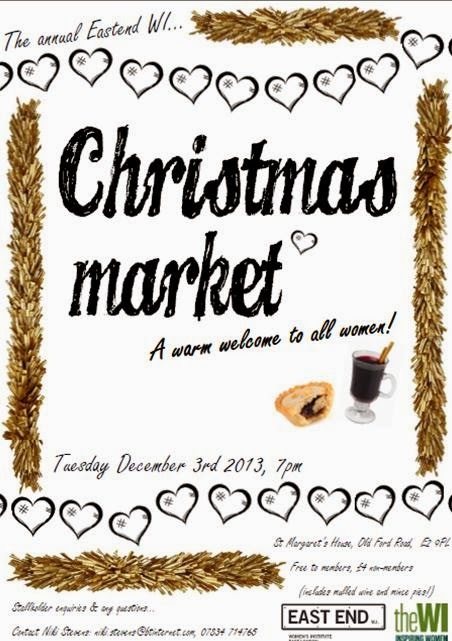 Our EEWI Christmas Market is on Tuesday 3rd December, doors open at 7pm (free for members, £4 for visitors). A glass of mulled wine and a mince pie is included in the entrance fee, plus tea and coffee, and there will be lots of lovely stalls selling prettiness crafted by local makers. We'll be handing over our gifts to the ladies from U-Turn, and there will be a raffle too, with lots of lovely prizes. Tell your friends, bring you mum, aunties, sisters, print off a poster and put it in your window. And do come - we'd love to see you there.